Jeannie Browning Hester has placed her footprint on funeral service for women not just locally but on a national level. A Trailblazer in funeral service for women, she set the precedent for a women’s role in funeral service. She has guided and encouraged many women who have contemplated funeral service careers and mentored many women who have chosen funeral service as their career. Thirty-seven years ago, when Jeannie entered funeral service there were very few opportunities for women in this profession. Funeral homes were not hiring women. Jeannie created a niche for a women’s role in her chosen profession and soon leaders in the funeral profession turned to her for advice. Jeannie not only overcame the many obstacles but she set such a respectable example as to where a woman’s role could actually enhance the funeral profession. As a result, the funeral colleges across the country enroll 80% women. Jeannie and her father, Charles H. Browning were a one of a kind father/daughter team in the early 1980’s and known throughout the entire state in the funeral profession. We now see not just the daughters of funeral directors entering the business but women from all sorts of backgrounds. The funeral profession is a nurturing and guiding profession which requires a compassionate and caring person to walk a family through the grieving process and Jeannie is a perfect fit. Our purpose is to offer the Browning Experience; the goal is to exceed expectations. I am constantly humbled by the families who place their loved ones in our care. It is the ultimate honor. Browning Funeral Home is celebrating over 65 years of service in the Evansville, Indiana area. Founded in 1954 by Charles H. Browning and his wife and Dolores DeWitt Browning. 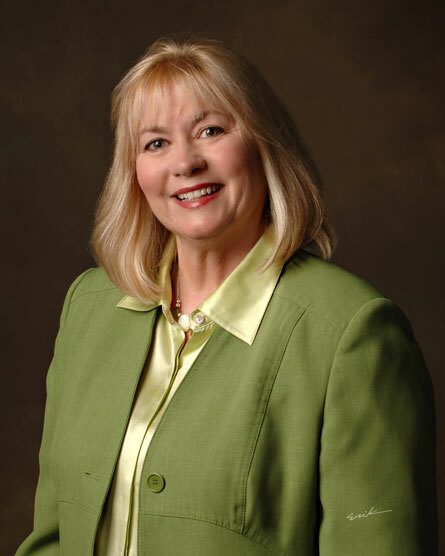 Jeannie joined the funeral home in 1982 as a recent graduate of Indiana University Kelly School of Business and later Mid America College of Funeral Service. She assumed ownership of the funeral home in 2003. Her son, Jacob Browning Hester, joined the funeral home in 2019. With her visionary leadership skills Jeannie has developed; Designing and Personalizing Exceptional Funeral Services, Pre-Need Planning Services, After-Care Services; A community outreach program, Your Tribute Story… ”Every Life Has A Story To Be Told,” written by Dolores Browning and most recently Charleen Browning Spear, The Hundred Acre Wood “Winnie The Pooh Children’s Room,” Treasure Box of Memories Keepsake, Christmas Ornament Program, Year Anniversary Program, Certified Celebrants and Storybook Keepsakes. New to our services in 2014 were, The Gathering Place, which is located in our campus and is designed to provide a comfortable environment for gatherings and meetings for the families and the community we serve and The Cremation Center of Evansville which is located on the campus and provides state of the art cremation services. The Browning Genealogy Library is located on our campus where she managed the bridging of our material source with the Evansville Vanderburgh County Library for the digitizing of Browning Genealogy Records. Records were debuted on the internet in 1999 as a first of its kind in the world. The Browning Database is known around the country in genealogy circles as a phenomenon. Instrumental in daily updating and the continuation of the website so our gift continues to give back to our city. Sponsor of the LST Veterans Breakfast aboard the LST every year since 2005 as a way to say Thank You to our Veterans. Recipient of Trusteeship Award 2016 presented by Leadership Evansville for giving back to the community through our Veterans Programs. Recipient of Keep Evansville Beautiful Award five years in a row (2005-09) and applauded for extensively improving our facility and grounds on Diamond Avenue. Recipient of the Top Courier’s Readers’ Choice Platinum Award when the award first opened to funeral service and receiving it every year since to include awards in 2016, 2017 and 2018. Recipient of Indiana Funeral Directors Award of Excellence presented at Indiana Funeral Directors Convention in Indianapolis, Indiana. Recipient of Urban Conservation Business Award presented by Vanderburgh County SWCD. Honored by Senator Evan Bayh during the aftermath of the tragic tornado of 2005. Browning Funeral Home served the majority of those families by donating their services. Senator Bayh was most impressed with Jeannie’s pure gift to our country by not redeeming FEMA Funds. Twice nominated for the Athena Award. Supporter of Vanderburgh County Women’s Fund, Reitz Memorial High School, Central High School, University of Southern Indiana Foundation, Vincennes University Foundation, Indiana University Foundation, IU School of Medicine Evansville Campus, Habitat for Humanity, Camp Carson, St. Anthony’s Soup Kitchen, Christian Fellowship Church, St. Vincent’s Women’s Hospital for Children, Kennel Club, LST Memorial Ship, Evansville Vanderburgh Public Libraries, Willard Library, WNIN, Ronald McDonald House, Juvenile Diabetes Research Foundation, Daughters of American Revolution, St. Vincent DePaul, Good Shepherd Catholic Church, YWCA and missionaries around the world. Jeannie married Donnie Hester in 1988. They are the proud parents of three children; Jacob, Emilie and Jenifer. Jeannie is a fun Mimi to her five grandchildren. 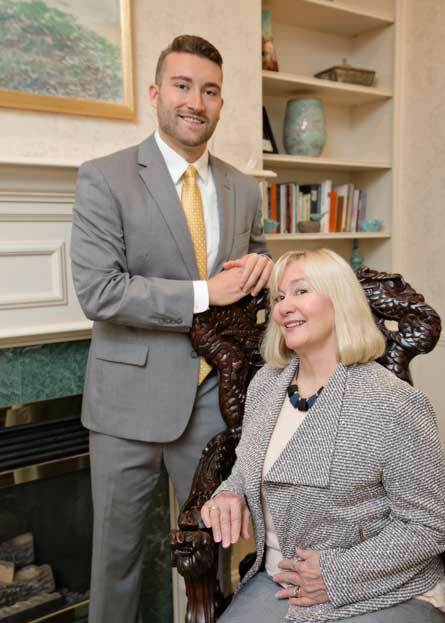 She is elated to announce the third generation, her son, Jacob Browning Hester, who has recently joined the Browning Funeral Home team.